This review originally appeared last year on The Mortuary as part of The Ludovico Film Institute’s program on Ray Harryhausen. Mighty Joe Young is a wonderful fantasy movie, but I doubt it would have much staying power without the special effects work of Willis O’Brien and Ray Harryhausen. At a young age, Harryhausen was influenced by the groundbreaking stop-motion effects O’Brien created for the dinosaur epic The Lost World (1925). 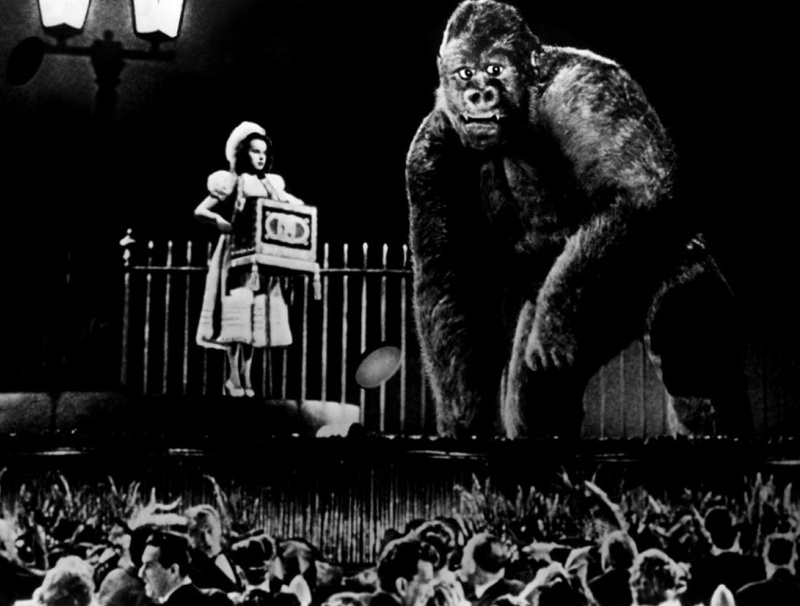 At a slightly less young age, Harryhausen was even more bowled over by O’Brien’s work on King Kong (1933), and a lifelong obsession was born. Harryhausen’s first professional work was a series of Puppetoons shorts for George Pal at Paramount Pictures. During World War II he worked on various short films. He also worked on commercials and an anthology short called Mother Goose Stories. But Mighty Joe Young was his first big feature film. He was working under the direction of his idol, Willis O’Brien. (In supplementary features on the DVD of Mighty Joe Young that I watched, Harryhausen affectionately refers to him as “Obi.”) O’Brien did all of the continuity sketches, but the majority of the painstaking stop-motion animation was carried out by Harryhausen. 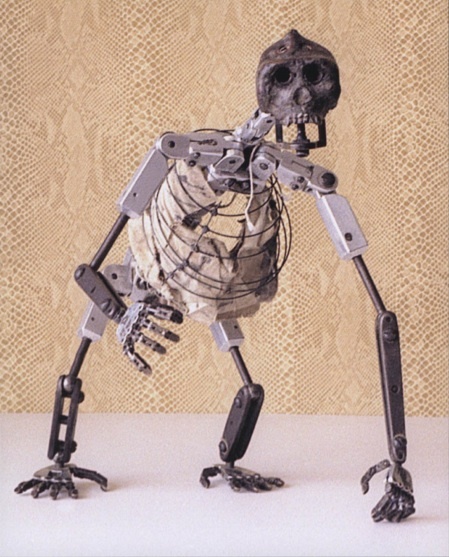 In reality, Mighty Joe Young was a metal armature with hinges and ball-and-socket joints covered with rubber and fur. But on screen, he is a living, breathing creature with emotions that are as easy for the audience to understand as the most overwrought histrionics of a silent-movie actor. 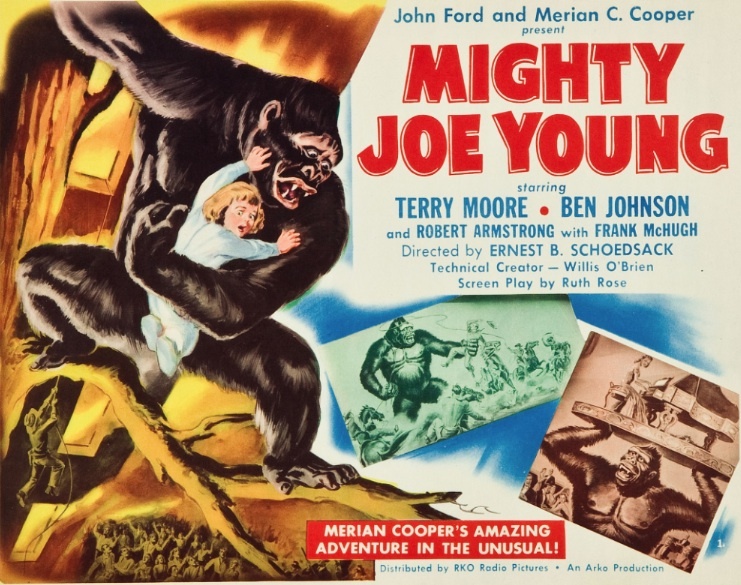 For instance, watch the clip below, which shows Mighty Joe Young’s first appearance at the Golden Safari Club (which was reportedly inspired by the Cocoanut Grove nightclub in Los Angeles). Look at the mix of emotions on Joe’s face. Confusion. Concern for the girl he’s holding up, who is his only friend. And curiosity about all the people thronged to see him. Mixed with the music of “Beautiful Dreamer” (Joe’s favorite song), it’s a powerful moment, and it was created one frame at a time by Ray Harryhausen with metal, rubber, fur, and bits of clay for Joe’s lips and brow. If Mighty Joe Young had been played by Ray “Crash” Corrigan in a gorilla suit, it just wouldn’t have had the same effect. Mighty Joe Young is a series of grand stop-motion set pieces. Each is more spectacular than the one before it, and each tells us more about Joe’s character. When we first see him, he’s a ferocious beast, smashing open a lion’s cage. His ferocity remains formidable, but we grow more sympathetic to him as we begin to see his noble heart. Not to mention the fact that he’s mistreated by humans in infuriating ways. The human protagonists of the film aren’t nearly as interesting as Joe, but they all give good performances. Robert Armstrong plays Max O’Hara, the blustery Hollywood producer who brings Mighty Joe Young to America. It’s a very similar role to that of Carl Denham, who Armstrong portrayed in both King Kong (1933) and Son of Kong (1933), both of which — like Mighty Joe Young — were directed by Ernest B. Schoedsack. 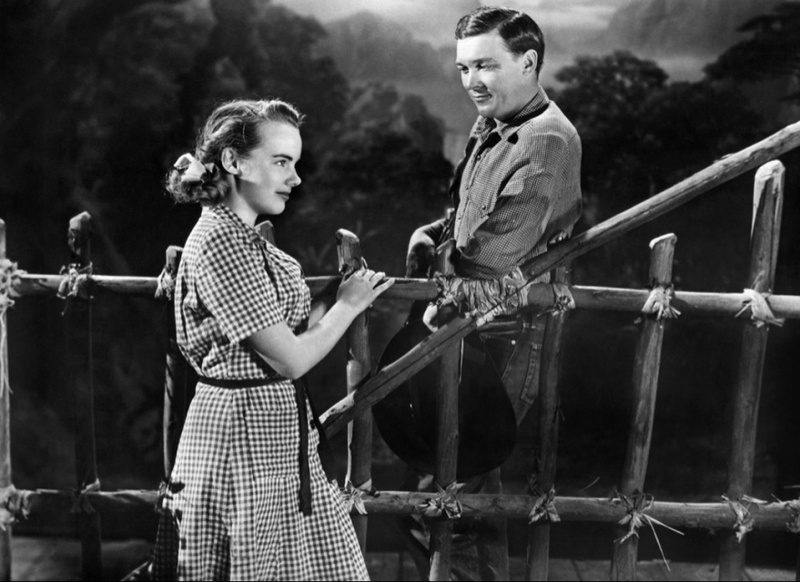 Terry Moore plays Joe’s oldest human friend, Jill Young, a white girl who grew up in Africa on her father’s farm. She purchased Joe from two natives when he was still an infant. (She was lonely and had no one to play with.) In many ways, Jill is as much of an outsider in America as Joe is. Film fans today probably know Ben Johnson best from his work with Sam Peckinpah — he appeared in Major Dundee (1965), The Wild Bunch (1969), Junior Bonner (1972), and The Getaway (1972). Or possibly they know him as “Sam the Lion” in Peter Bogdanovich’s The Last Picture Show (1971) or as G-man Melvin Purvis in John Milius’s Dillinger (1973). If you’re a horror fan, you might know him from Charles B. Pierce’s The Town That Dreaded Sundown (1976) or Roger Spottiswoode’s Terror Train (1980). In Mighty Joe Young, Johnson plays Gregg, an Oklahoma ranch hand and rodeo rider, which is exactly what Johnson was in real life. He’s a little wooden, but his authenticity makes up for it. Johnson had bit parts in a bunch of films before Mighty Joe Young, but this was his first leading role, and the first time he had his name in the credits. Mighty Joe Young won one Oscar at the 22nd Academy Awards, for best visual effects. Despite Harryhausen’s spectacular special effects, Mighty Joe Young was a box-office disappointment at the time of its release, and plans for a possible sequel, in which Joe would team up with RKO’s other hot jungle property — Tarzan (at this point played by Lex Barker), were scrapped. But it was just the beginning for Harryhausen. Mighty Joe Young will be shown on TCM on February 24, 2014. Posted in 1949, July 1949 and tagged 22nd Academy Awards, Argosy Pictures, Ben Johnson, Ernest B. Schoedsack, Fantasy, Merian C. Cooper, Ray Harryhausen, RKO Radio Pictures, Robert Armstrong, Terry Moore. Bookmark the permalink.